Through supportive, caring counseling, individuals and families in any phase of life are empowered to better handle life’s challenges. Our mental health services provide psychiatric evaluation, case management and crisis intervention to help children and adults with chronic mental illness recover and be productive. We also offer assistance for older adults and their caregivers to meet the unique concerns of this stage of life. Compassionate violence prevention programs alleviate the impact of community or domestic violence. And specialized veterans’ services help returning soldiers and their families reintegrate into civilian life and reconnect with one another. Provides home-based intervention to families formed through adoption or subsidized guardianship. Adjustment, grief/loss resolution, attachment, educational and emotional issues are addressed through counseling, crisis intervention and 24-hour on-call assistance. Therapeutic respite services and related referrals, psycho-educational and support groups, workshops and help with securing resources also are provided. The program is supported by DCFS. Offers recovery-based individual and group therapies, case management, crisis intervention and psychiatric services to individuals with mental illness to help them achieve and maintain stability. Investigates reports of abuse, neglect and exploitation of seniors ages 60 and older and adults with disabilities. When abuse is substantiated, interventions are planned with the victim, family and others to reduce risk of further harm. Legal services are also provided as well as senior self neglect. A school-based program in designated Chicago Public Schools for at-risk youth identified by teachers, school counselors and parents. Goals include improving school behavior, social skills, social/emotional problems, cognitive functioning and parental involvement. Offers a supported, shared-apartment living environment for adults with mental illness, with staff on-site 24 hours a day. Staff provide case management, medication monitoring, transportation to medical appointments, and training to learn daily living skills. Domestic Violence Clinical Services are for survivors of partner abuse and their children, and for teens and children who have witnessed domestic violence. Staff provide safety planning, individual and group counseling, case management, information and referrals. Extended Family Support serves relative caregivers facing issues that threaten the safety, stability and placement of the child within the home. The DCFS-funded program helps caregivers obtain guardianship, apply for public aid grants, advocate with schools, and access community resources and referrals. Family Support and Prevention helps families develop the tools they need to effectively parent their children and enhance family functioning. The program focuses on families with multiple problems, helping them address core issues that impact child and family functioning. Services include counseling and case management. This home-based program is free of charge and is funded by the Mental Health Board of the City of Evanston. Get IN Chicago CCRE – Community Collaboration and Resident Engagement is a community based resident led initiative to improve the safety and wellness in the Roseland Community. It strives to engage the residents, business, community stakeholders and youth around a common goal to collectively and positively impact our community. Helps mobilize support services for older caregivers who are raising children and assists in future planning. Also provides assessment, referrals, support and educational groups, and in certain instances family and individual counseling. Provides regular in-home respite services to caregivers of elders to sustain caregiving relationships. Screened and trained volunteers are provided in partnership with community and faith-based organizations. Provides clinically intensive therapeutic interventions to emotionally and behaviorally disturbed children in DCFS custody. Midway Connections provides a safe place for court-ordered supervised visitations and safe exchanges for children exposed to domestic violence. Children visit a non-custodial parent without compromising the safety of an abused parent. MOMS Plus is for pregnant and/or young mothers and fathers ages 13–21 who are DCFS wards, and also for parents of developmentally delayed children. Home-based services and groups help improve the mother’s parenting skills, promote healthy child development, create support networks among young mothers, address trauma that may impact emotional and/or behavioral functioning, and link caregivers to resources. 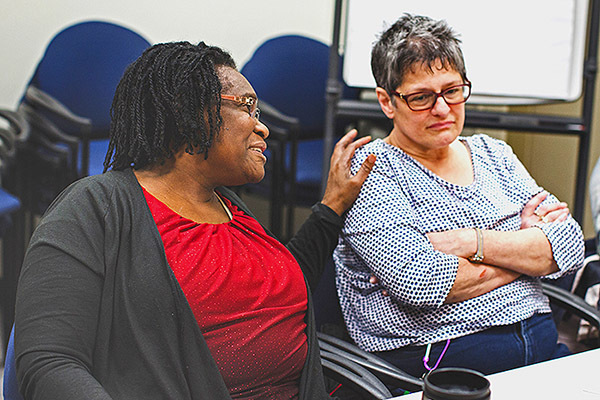 Pre-Admission Screening and Resident Review Program works closely with the Department of Mental Health and the Illinois Department on Aging to conduct comprehensive assessments of adults with mental illness who live in long-term care facilities and nursing homes. The evaluation includes a recommendation on the consumer’s readiness to live in the community autonomously, and identifies resources needed after discharge to strengthen successful community integration. Screening Assessment and Supportive Services (sass) stabilizes crisis situations and provides intensive mental health services to children and adolescents who are experiencing acute psychiatric episodes. SASS uses intensive community-based intervention to limit psychiatric hospitalizations. Helps older caregivers plan for children’s long term care (permanency planning). It aids families in establishing a stronger support system through case management and linkages to community resources, ensures the well-being and safety of the children and caregivers and provides a recommendation regarding the permanency of the children. Provides intervention and prevention services to youth at risk of developing delinquent behavior. Families benefit from intensive counseling, parenting classes, and psychiatric and other services.